June represents the awakening of the harvest season with greens and peas and radishes for the dinner plate and strawberries and currants and cherries for sweet treats and preserving. 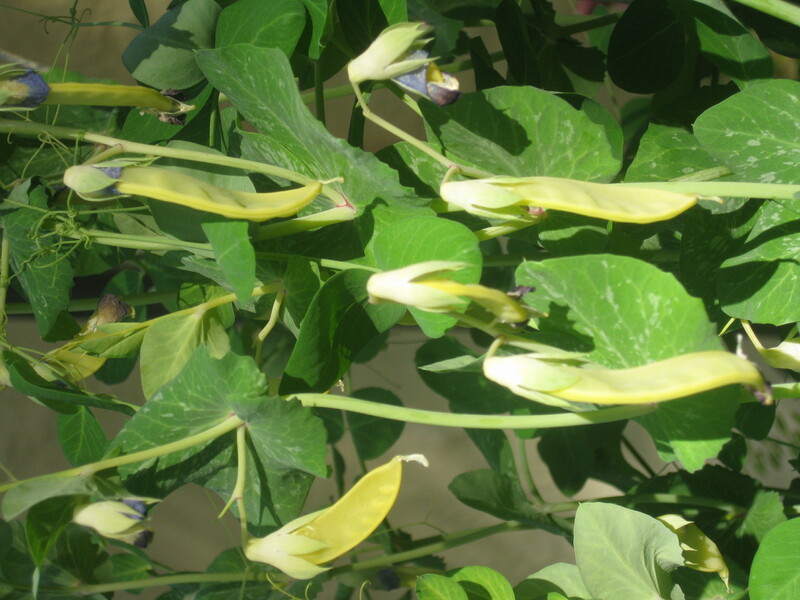 This year I planted the BEST yellow snow peas, heirlooms from India via Pinetree Seeds in Maine. 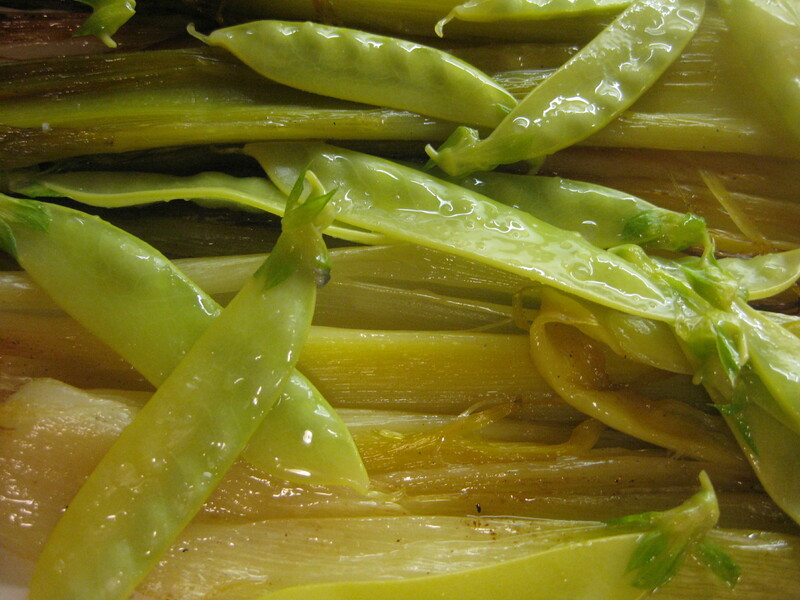 The magenta and violet flowers gave way to abundant and adorable pods that I steamed and served alongside roasted leeks.